​Poverty is the world at its worst when people are deprived of basic everyday things that we take for granted like food, water, shelter, money and clothes. People on social assistance do just fine. They’re deadbeats who don't want to work. Reluctance to work is rarely the reason to go onto social assistance, especially given what it means for quality of life. 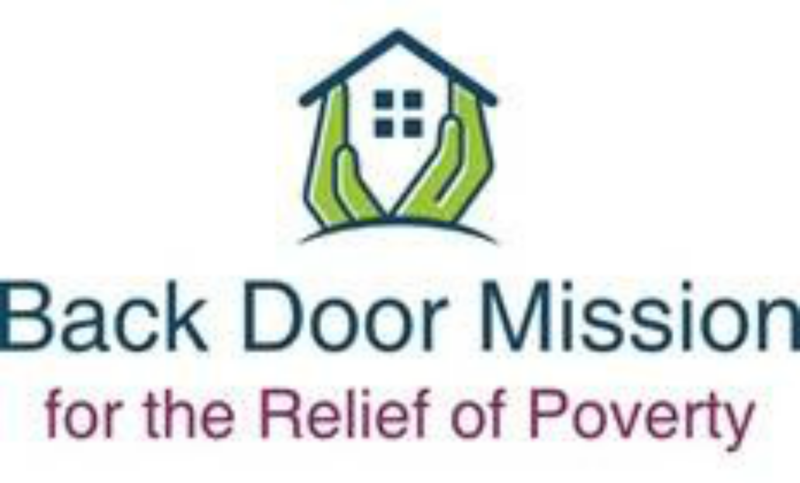 The majority of the Back Door Mission’s clients have physical or mental disabilities that have stopped them from working, or they’re too elderly. A few of our people have found part-time work (they'll work if they can) but in marginal jobs with pitiful wages. They form part of what's called the "working poor." Poverty is a complicated issue whose impact is felt across many areas of society. Poverty is the result of economic, societal and institutional factors. A shrinking middle class, companies downsizing, declining wages, static government funding, and lack of affordable housing has left many people a statistic of poverty while others are on the verge of becoming one. For others, life circumstances have been the cause, a long chain of bad luck, misdirecting life experiences, and marginalized existence leading people to where they are now. If you’re single, as most of the Back Door Mission's clients are, the maximum rent subsidy you get if you’re in the Ministry of Community and Social Service's Ontario Disability Support Program (ODSP) is $479. If you’re on the alternative form of social assistance, ironically titled "Ontario Works," it’s $376 (plus a “Basic Needs” allowance of $305, meaning $681 total to live on). Six years ago the average rent for a “bachelor” unit in Durham Region was $619. [xii] It's hard now to find a place in rooming house much below $500 a month, and that's changing fast. Then there’s the psychological effects: the “stress and anxiety of daily life,” the “depression, profound sadness and fear,” social stigma, and lack of self-respect. If we do nothing else at the Back Door Mission we work hard at making people feel loved, welcomed, and honored. [xv] That’s reciprocated by what we’re told is a high level of regard among people on the street. In December of 2015 Sherri and Adrian, who live in Durham, fell upon hard times when Adrian lost his job due to a work injury. Although Adrian was able to collect long term disability payments it was not enough to support him, his wife, their young daughter, 3 dogs and a cat. Within a matter of time they could no longer make mortgage payments and the bank took their house. Their finances exhausted on the house and living expenses, the first and last month’s rent required to rent an apartment were out of reach. This left Adrian and his family homeless. With no home, no money, and nowhere to live, they turned to a homeless shelter. Only one shelter in Durham provides emergency housing for families and then only for a limited time. Once this was exhausted, there was nowhere else to go. Destitute, Adrian and his family were forced to live in their car. They ate at soup kitchens and food banks, and hung out at the library. But living in a vehicle with a young daughter is against regulations administered by the Children's Aid Society. The family again found themselves desperate to find a place to live. Because they had already exhausted their time at the previous shelter, they were forced to split up. Sherrie and their daughter stayed at a local women's shelter while Adrian stayed in the car with the animals. With the much loved animals adding to their financial burdens they decided to locate temporary care for the animals until they were back on their feet. While seeking help from an animal rescue agency, at the same time they sought assistance for housing from Community Development Council Durham. CDCD was able to provide last month’s rent. Adrian and Sherrie could now locate an apartment -- but had a month and a half wait before they could move in. This created a new crisis. No organization would help with living expenses and accommodation because Adrian's disability payments, on paper, were higher than the organization's threshold for assistance. This left Adrian in his car, and Sherrie and her daughter living at the shelter. To add to their burdens, the animal rescue agency could not take their animals because their vaccine shots had expired. After days of discouragement not knowing how they would get by, the animal rescue got back with an unexpected and generous offer to put the family and animals up in a hotel until their apartment was available. Adrian and his family were elated! Although they would continue eating at soup kitchens they now had a clean and safe place to stay, a semblance of stability and security for their daughter. As Adrian and his family patiently wait for the time when they can move into their new apartment, they continue seeking the assistance of food banks, soup kitchens and support from the displaced street community that has become their family. Even with all they have gone through, they are happy and thankful to all the organizations that supported them in their time of need. Sherri, who has never lost her beautiful smile through all of this comments, "faith gets you a long way." There is light at the end of their tunnel for Adrian and Sherri. Sadly, this is not the case for many others who find themselves trying to navigate the social assistance network. ​John is an alcoholic. Life circumstances and the tyranny of experience govern his choices and have gotten him to where he is. Because of his illness he finds himself alone with nowhere to go. He does not know where his children are and his siblings have exhausted all measure of sympathy and grace. His alcoholism has left him homeless; he finds it difficult to access the social assistance network. Although he does receive social assistance, much of it goes on alcohol. The cold winter months are difficult for John as there is nowhere for him to go. There is only one men's shelter in the region and the length of stay is limited. Winter works on its own schedule so when John's stay at the shelter is exhausted he is forced to live on the streets. With temperatures reaching minus 10 degrees centigrade this is a difficult life for anyone, let alone a man in his senior years. Lack of housing and limited available social assistance leave John with no other alternatives. We're setting out to see what we can do to connect him with new sources of help. It's not easy, as John simultaneously asks for help but resists anything that smacks of external control or direction -- clearly the consequence of life experiences. ​Bryan is a wonderful man with a heart of gold. However, Bryan has made decisions in life which have left him estranged from his family and living in squalor -- though thankful that he now has a bed to sleep on. He currently lives in a boarding house and does odd jobs around the building to stay active. Bryan has a problem. Bryan collects social assistance but does not know how his entitlements are disbursed. He does know that his current rent of $499 is paid directly to his landlord. But he does not know where (he thinks) another $300 of social assistance, is going and doesn't know how to find out. Bryan would like to move into a new place since his current circumstances pose tangible threats to his well being, but doesn't know where to start. Thanks to issues in Bryan's past life (now largely resolved) he is under the care of a trustee who has primary control of his funds. Added to this, Bryan has trouble with details. From what Bryan can recall, he has had four trustees over the past four years but does not know the identity of the latest individual. Bryan has tried to obtain information from case workers in several organizations with no luck. Without a phone and with a limited understanding of how the system works, he finds himself lost. Bryan obtains food from food banks and soup kitchens, and toiletries and clothes from shelters. Feeling trapped, he has spent his days wandering from hangout to hangout with no change on the horizon. In Brian's words, "You have to have some reason to get up in the morning. It's hard to do though because, being caught in this system, there is no need to strive because it's the same routine every day and there's no way to get out." He comes to the Back Door Mission to socialize and to get help navigating the system. Or if nothing else, he says, just a listening ear. The Back Door Mission is finding answers for Bryan. We have located his trustee and know now how he can access his funds and what needs to be done to arrange redirection of payments for a new room or apartment. Now we can set out to help Bryan with other issues he needs tackled.